News Archives - Hello, Kristina! Now, I don’t want to bum you out, but I do want to talk a little bit more about device theft. It’s a crappy thing that happens to a lot of people, but I’m partnering once again with Absolute LoJack Uncovered to help educate others on how and why this happens. Over the next month, I hope to help you learn how to take some relatively simple steps in your own life both to A) minimize your chances of device theft and B) make your device easier to track down and protect your identity if it does happen to you. And hopefully not make you fall asleep in the mean time with my stats – because this stuff is super important! Jokes aside, this is a much more serious issue than you may even realize. Maybe you think your neighborhood is safe enough, so this wont happen to you. That your coworkers are all great people, so you don’t even have to worry. Maybe you just know you’re more careful than those other guys. Of course device theft wouldn’t happen to you. With the value of phones and laptops at an all-time high, they’re hot commodities for thieves; easy to turn a pretty penny. But often, it’s not just about the device itself. A cell phone is easy to replace – expensive, but easy. You buy a new one. Likely you already have your info backed up to the cloud, so within an hour, everything is back to normal. Except that your old device contains more than enough information to get you up to your eyeballs in identity theft before you can even blink an eye. About a year ago my wallet was stolen and I was totally devastated. The whole first night after I realized it was gone I didn’t sleep a wink, I was up all night worrying. My credit cards, my driver’s license – such powerful tools in the hands of a stranger made me sick with worry. When I think about how much more information I have stored on my laptop and phone, I literally feel paralyzed with fear. I think about my choice not to password lock my devices because “it takes too long”. I think about how many websites store my passwords and credit card info. I think about my email inbox, my YouTube channel, my Twitter account. All things someone would have access to if they got their hands on my phone. It’s just – it can’t happen. That could never happen to me, it’s too horrible. In a world where it’s becoming increasingly more likely that something like this could happen, a program like Absolute LoJack is so, so important. Not only does protecting my devices with their software give me peace of mind, they’re really great about taking a hands on approach to spreading awareness about how to protect yourself and to take precautions, something not nearly enough of us do. So this month, I’ll be sharing behind-the-scenes info I’m learning from their Investigation and Recovery Team (which is made up of forensic experts and reformed tech thieves – pretty cool, right?) 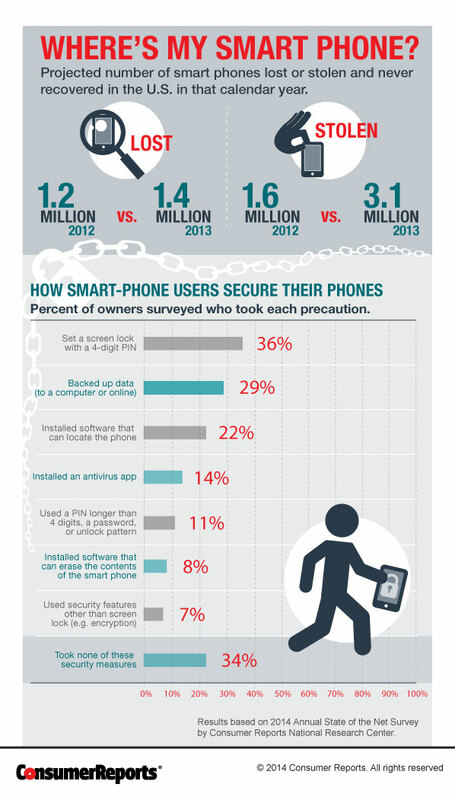 to give you a better idea of what the inner workings of device theft look like. I know it sounds dry, but I’m going to try to make it fun. And hopefully by the end of it, you’ll have learned something as well. Let’s not become statistics. Let’s keep our devices safe. Follow #AbsoluteUncovered all month for more tips and stories from other bloggers! And, as a special gift to you, Absolute LoJack has offered a 30% discount to my readers on a 1-year Absolute LoJack Standard or Premium subscription. Just enter the code UNCOVER30 a checkout and the code will be automatically applied to your purchase. Disclosure: My partnership with Absolute LoJack includes a complimentary subscription and other consideration. All opinions, as always, are my own. Exclusive Loot Crate Funko Pop! Hey blog readers! 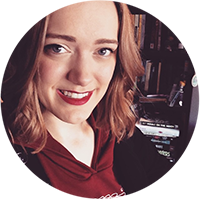 It’s been awhile since I’ve done a Loot Crate unboxing or even really talked about the company online, but they’ve had all sorts of exciting news lately so I think it’s time for a little blog feature. First of all, they announced last month that they’re now shipping to some countries in Europe! The new countries that can sign up include: Ireland, The Netherlands Sweden, Germany & Norway. This adds to the list that already includes Australia, the UK, Canada & the US! So if you’ve ignored any previous mentions of Loot Crate because you lived in one of the aforementioned countries – your day has come. Second piece of big news is that there’s going to be another exciting exclusive in this upcoming month’s box… and it’s of the Funko POP! variety. That’s right – if you’re subscribed to Loot Crate, you will be receiving a Loot Crate only POP! figure that’ll likely become an instant collector’s item, since it wont be available in any stores. They did something similar in last month’s crate with a Rocket Raccoon comic and trust me; it’s already on Ebay. I’m personally a huge fan of Funko POP! figurines and I can’t wait to find out what it is. The theme this month is “Heroes”, so I can only imagine it’s going to be something great. If you want to sign up for Loot Crate, you can use this link and then type in the code “ITALKTOSNAKES” to save $3! If you decide to join in the fun, let me know in the comments of this blog post! I’ve gotten a lot of questions recently about Jetpack Unicorn: when the Kickstarter copies are going to be sent out, when it will be available in stores, when it will start being carried on DFTBA.com… I know, I know. I haven’t really had any answers to any of those questions, since the game is being produced and manufactured by Wyrd Miniatures, not Joe and myself. But! Now there’s news! 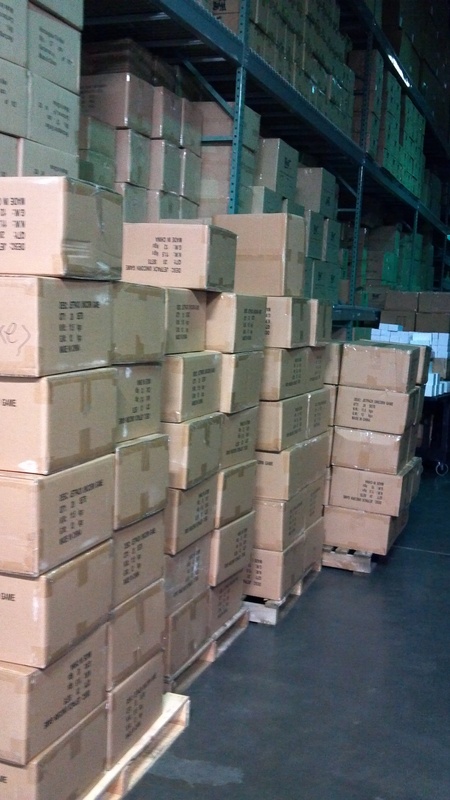 Check out this super exciting picture of our game stacked high in the warehouse! It just keeps going, and going and going! So many boxes! Apparently there are something like six pallets in the warehouse, and each pallet holds about 800 copies of the game. So much Jetpack Unicorn! I am incredibly excited, if you couldn’t tell. By the exclamation points I’m using. As far as official dates, I don’t actually have those. But I can say that all Kickstarter copies should be shipped out in the first week or two of October. Then, the game should be available for purchase on DFTBA nearer to the end of October. If you’re hoping to get the game at one of your local game stores, it should also be popping up in those types of stores at the end of October. Just in time for Halloween! And for Christmas! Yay! I am just so thrilled that this game existed in my head, and then Joe and I made it a reality, and now it’s going to be in stores and in the hands of people who like games – it’s all just very overwhelming in the best way possible. If you backed our idea on Kickstarter, THANK YOU for helping make this dream a reality. And if you don’t know what Jetpack Unicorn is, or haven’t checked it out yet; I hope you will, when it’s available. There was a time when I hailed Frontier Airlines as an “adorable”, “fun” and “caring” airline. Seriously. That feels like an eternity ago. Let me preface this post by saying that a few years ago (2009 to be exact), I was delighted by this airline. They used to serve warm cookies to passengers on some flights. They have cute woodland creatures painted on the side of their aircrafts. An all around upstanding airline. But not anymore. The woodland creatures are still there, but now I feel it’s in mockery of the miserable experience you’re about to have — not a friendly, fuzzy welcoming. I flew Frontier last week to attend a funeral. Life happens sometimes, and you have to buy tickets two days in advance for something completely out of your hands. When you’re a hard working, self employed mid-twenties girl, I don’t think it’s completely out of the question to book your last minute flight on a price comparison website like Kayak or Orbitz. I did it, you’d probably do it, and generally, it wouldn’t be a problem. Except that Frontier has decided to start penalizing customers for not booking on their personal website. First of all, they have a new bag fee policy. For carry-on bags. 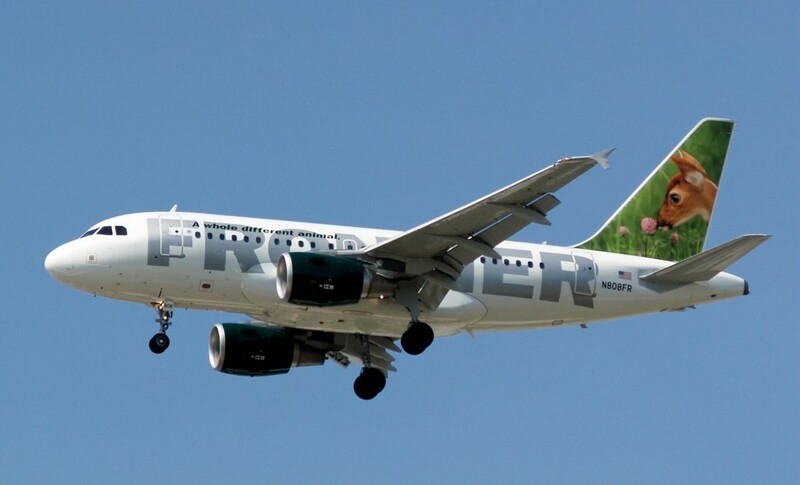 You heard me right – Frontier now charges for CARRY ON BAGS, unless you book on their website. This means that if you book on a third party website (like most do), you’re either checking that carryon-bag at the front desk for $25, shelling out $50 at check-in to keep it with you, or being charged A HUNDRED BIG ONES if you don’t quite understand what’s going on and show up at the gate with your bag. Being that this new policy only went into place on August 6th of 2013, I’m not surprised Frontier passengers are being charged $100 left and right for bags they previously were able to simple walk on a flight with. That they still can walk on a flight with, on any other sensible airline. Can we stop for a moment and talk about how the CEO of Frontier David Siegel claimed, “we could do a lot of things for free, but we want to stay in business” – and this was his answer? Instead of addressing the overhead bin issues by… I don’t know, enforcing your own bag size regulations, you’re just going to charge all passengers an arm and a leg to bring anything with them on the plane? And then charge for drinks as well, while you’re at it? Oh, excuse me, sorry. A glass of room temperature water is still complimentary. My mistake. How kind of you. I understand the airline business is hard. Fuel prices are exorbitantly high and companies need to find a way to keep up. But if this is the policy you think is going to keep customers coming back for more, then fine. Have at it. I’m not going to try to tell you how to run your business, I just wont patronize it anymore. Let me be clear here: after all this, my biggest problem with Frontier (and the reason for this blog post) was their attitude. Not to mention I had been in line for over 40 minutes and the delay was genuinely in how slowly the employees were checking all of us in. When I finally got to the front, a check-in that should have taken less than five minutes took at least ten because the particular employee used half the time to lecture me on how I should have checked in online, and when I told her that A) I was traveling for a funeral so flight check-ins weren’t really at the front of my mind and B) there were plenty of people behind me waiting to get on the same flight so we should maybe hurry the transaction up a bit – she snapped at me about my attitude problem. I have never been so completely disappointed with a travel experience. My mom works in the travel industry and has since I was a baby, so I pride myself in not being an overly critical passenger – because I understand how this industry works. But I have never felt so condescended, taken advantage of, and thoroughly unappreciated by a company in my whole life. Clearly I’m not alone, as I came home to find an entire twitter account dedicated to spreading the word about Frontier’s terrible lack of decency when it comes to customer service. Reading through this feed made me realize that I actually got off pretty easy, which is disheartening. I know everyone has their travel nightmare stories and that it’s a natural part of flying that every once in awhile you have to deal with a delay or a lost bag or something, but this trend with Frontier is unacceptable. We shouldn’t be punished for flying. We should take our business elsewhere. Let me know your experiences down below – and tell your friends/family not to take this airline if you can avoid it at all. FANTASTIC BEASTS AND WHERE TO OMG. The Potter fandom is absolutely WRITHING with excitement today, as many of us woke up to the news of the newest addition to the HP franchise – a brand new movie (potentially a series!) based on the textbook companion to the Harry Potter books, “Fantastic Beasts and Where to Find Them”. I read this little book from cover to cover back in my school days, and the idea of learning more about Newt Scamander, the fictional author of this piece, is hugely exciting. Now that I’ve had a moment to stop and catch my breath, a few things have finally started to register. Not only does this story take place 70 years before the Harry Potter books, it also is set in New York city. So much of what we know of the wizarding world is so central to the UK, and very based in the issues and politics of the now. In this new series, we’re going to get to see so much more of Harry’s world; parts he doesn’t even know about. The American wizarding community, life as a witch or wizard in the early 1900’s, other professions we know very little about. I don’t even know what to be most excited about, or what to expect really. What strikes me as the most incredible, however, is JK Rowling’s seemingly impossibly keen skill at pulling the wool over our eyes. The Cuckoo’s Calling news kept my Potter heart aflutter so much so that I never imagined something like this. And call me a conspiracy theorist, but I was just talking to my friends yesterday about how odd it was that the “8th Harry Potter Book” April Fool’s day prank started circling the internet again, out of nowhere. Coincidence? Maybe, but I like to think it’s some sort of intricate PR strategy that we all walked right into. There’s not much more news yet – no release date, no word on how many movies, no director, no actors… but I couldn’t be happier. Our fandom is alive and well; there’s theories to be theorized, costumes to be worn, midnight showings to plan for – and there’s no group of people I’d rather do it with than my Harry Potter family. I have ALL the feels right now, and all I want to do is continue to see how the rest of the Internet is handling it. This is better than ten Christmases. Check out LeakyNews for the full story, or more importantly, for predictions.